According the the forum post the following ranges have the following results however I suspect that there are more combinations that might not work correctly. Taking a deeper look at the issues I below are the details log of a Windows 8 computer with an IP of 192.0.0.11. As you can see with the IP Filter is set to 192.0.0.0 to 255.255.255.255 it evaluates to false even though it SHOULD evaluate as true as its IP is between these two addresses. 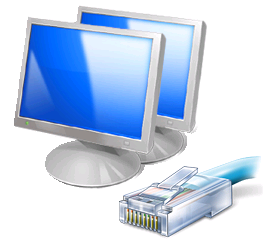 Compared to a logging on to a Windows 7 computer with an IP of 192.0.0.12 the same IP filter with the same policy applied evaluate as passed. In both cases the computer accounts were in the same OU and I was logged on with the same user account. Then… after changing the IP Address Filter to 1.0.0.0 to 255.255.255.255 the policy evaluates as TRUE again on Windows 8. Admittedly that the IP Address filters that are having issues evaluating are not all that practical (1.0.0.0 to 255.255.255.255). But it would seem there is a problem with how the IP Address filter evaluation works in Windows 8. My only recommendation for now is that if you have any IP Filtered Group Policy Preferences applied to a Windows 8 computer I would recommend that you manually verify they are working correctly. Adrian Doyle liked this on Facebook. “This is a confirmed bug in Windows 8” – do you have a link to support this?